In the News (The Huffington Post): “CNN host Jake Tapper was on vacation Monday when his show outraged many viewers who thought the program was normalizing anti-Semitic comments. My Comment: The truth is that the Jewish people are not ordinary people like the rest of the peoples, so there is room for a question regarding them. But this is in an entirely different sense than the question that anti-Semites ask. The Jewish people are an unusual group of people among the nations of the world. They are active, advanced, developed and possess initiative, but their uniqueness is deeper than that. In fact the Jews are not a people, but a collection of many people who populated ancient Babylon 3,500 years ago. In fact, in those times all of humanity was concentrated in Babylon. The Babylonian society experienced a crisis when people became egoistic and stopped understanding each other as described in the Bible. Their spiritual leader Abraham advised them to get closer to each other in spite of the egoism that grew and separated them. He gathered a group of several thousand Babylonians who wanted to unite above the ego with a demand, “And you shall love your friend as yourself” (Leviticus 19:18), and he led them to the future land of Israel. The word “Israel” is composed of the words Yashar-El, straight (Yashar) to the Creator (El). In other words, their goal was to reach and discover the Creator, the positive force of nature, with the help of their exaltation of love over the ego. This group that was called Israel developed for 1,500 years. Two thousand years ago, the ego increased sharply, toppling the same level of love to the level of hatred in which all of humanity is found. The group has existed on this level among the nations of this world to this very day. Although they no longer knew what their uniqueness was themselves, that uniqueness was still felt by everyone. The thought of creation is to bring all of humanity to a state of mutual connection and complete love. The Jewish people must provide an example of this by returning to this way of life. Therefore, humanity expects and demands this from the Jews and they exhibit hatred toward them without knowing the reason why themselves. The reason for the hatred is not religious, even people who are not Christians or Muslims, like the Korean people, for example, feel hatred toward the Jews. The demand from the Jews is to draw all of the peoples after them toward complete unity in which our next level of development will be revealed. Question: Reincarnation is the growth of a soul. If the soul doesn’t have time to realize itself in the current incarnation, does it have to return to Earth in order to study again in the same class and then move to the next one? 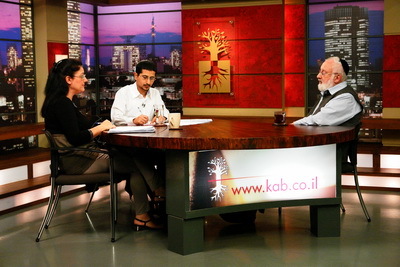 Is there reincarnation according to the wisdom of Kabbalah, and if yes, how does it happen? Answer: In each of us born into this world there is a seed of a soul called a point in the heart. The heart is a person’s desire, inside of which there is often a completely unconscious, almost insensible urge for a person to reach his root. The urge to reach one’s root pushes a person forward. Some people feel it more strongly and some less and there are those who don’t feel it at all, but everyone has a point in the heart. A person who feels it begins to look for meaning in life because he really needs to reach the root from which this point descended like a star and settled in him. He has to go there, there is his home. The point in the heart motivates a person by building the right and very precise yearning in him: he has to discover what he is living for during his lifetime. These people reach the wisdom of Kabbalah and fulfill this yearning of returning to their home, to their sources, and to their root. This is what the wisdom of Kabbalah tells us about. Our mission in this life is to reach our root. If a person begins to work on himself and carries out this mission, he ends the cycle of his reincarnation. If he stops along the way, he has to come back and to continue the correction in the next life until he reaches his root. This may take more than one lifetime. A person in whom this desire is still silent simply returns to this world in order to accumulate the necessary amount of material sufferings that lead him to the question about the meaning of life, “Why am I suffering?” Then he begins to search. Thus, we are either about to fulfill the point in the heart, in the middle of the way, or already in the process of fulfilling it. Can A Person Be Reincarnated As A Cat? How does it happen that there is abundance in the world and with this revolutions in all areas of life, how is this connected to relationships between people, and can they be avoided? The sign that we are facing the next revolution are the multivariate crises in all realms of life. The next revolution will be unique because technology will make it possible for us to engage with connection. A revolution in relationships is ahead for us: on Earth there is great abundance, we only lack good relationships. Today people build themselves up through ruining others, even though all of us depend on each other. I have an urge to harm you, even though I know it will be bad for me. As it is among couples. When we have digested well that this is our situation, it will be a pre-revolutionary situation. The next revolution, the revolution of relationships, must happen. This is simply because there is no choice. This will be an educational revolution in the whole society. The revolution will bring one thing with it: an improvement of relationships between people, love and mutuality. When we begin to feel others as our children, we will want to make things better for them. When we become a completely new humanity, all of us as a single person, the perception of reality will be upgraded. We will achieve a revolution in relationships either as a result of much suffering or through the development of consciousness while there is still time. If everyone begins to talk about this with all the people around them, this will advance us greatly.